Welcome to the Cobblestone Hotel in Wayne, Nebraska. 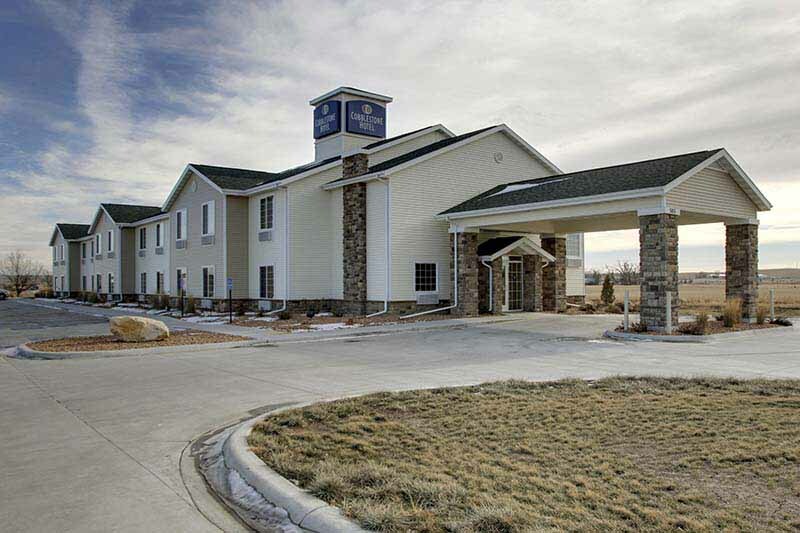 Our beautiful hotel is conveniently located near everything that Wayne, Nebraska has to offer including Wayne State College, Wayne Municipal Airport, Providence Medical Center, and more. Our hotel provides easy access for traveling to and from Nebraska Route 35 and Nebraska Route 15. Located west of Interstate 29, our hotel is within 50 miles of Sioux City, Iowa. In town for business? The Cobblestone Hotel in Wayne, Nebraska offers easy access to Heritage Industries, First Bankcard Center, Carhart Lumber, D.V. Fyre-Tech, Felix Industries, Great Dane Trailers, Beck Aircraft Maintenance, Ameritas Insurance, Sand Creek Post and Beam, Concord Components, Great Dane Trailers, Digital Blue, Michael Foods, First National of Omaha Wayne Service Center, and much more! In town for some fun? Check out the Wayne Country Club, Garden Perennials, Wayne Chicken Show, Wayne County Museum, Memorial Stadium, and more.